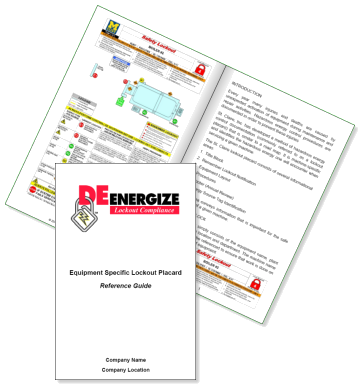 Another value-added resource that the DEenergize team offers to companies is custom Lockout/Tagout-specific Reference Guides. Lockout Reference Guides are another example of the advantages that we can provide customers to assist in creating a complete Lockout/Tagout Program. Customer-specific Lockout Reference Guides provide detailed information relating to your company's Lockout Program. 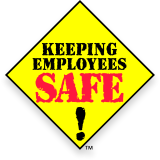 This small handbook is invaluable for temporary help, contractors and Lockout Training classes. Developed with the Maintenance staff in mind, these reference guides are the perfect size for your pocket or toolbox. Lockout Reference Guides provide employees and contractors a snapshot of your company's Lockout Program by explaining with a visual approach the established company lockout standards. Listing and illustrating all hazardous energies, special conditions and Equipment-Specific Energy Control Procedures for a particular company are all beneficial features of the Reference Guide. Additional information, such as plant contacts and the company policy, are other important features of the Reference Guide. To learn more about the DEenergize Reference Guides, please contact a DEenergize representative or use the Contact Information page.